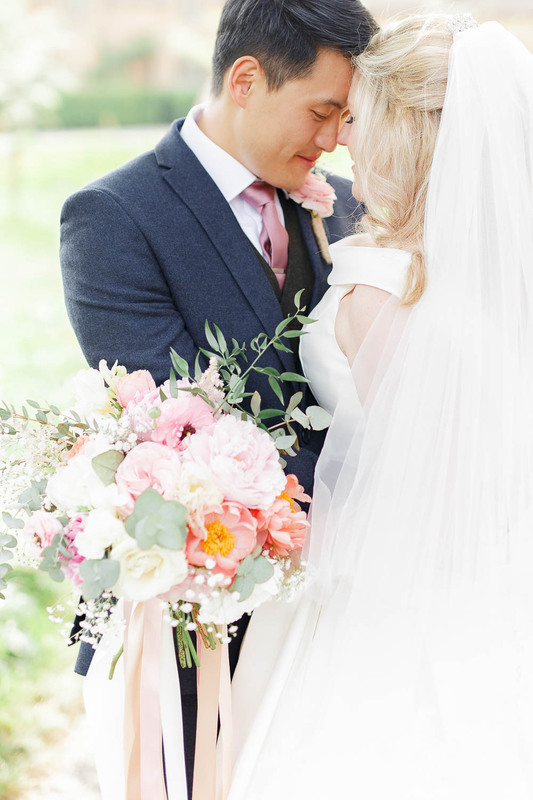 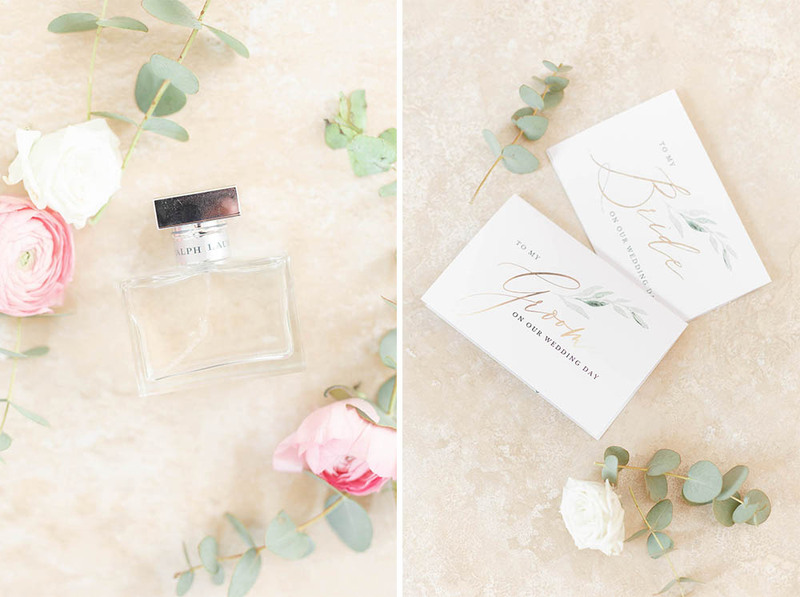 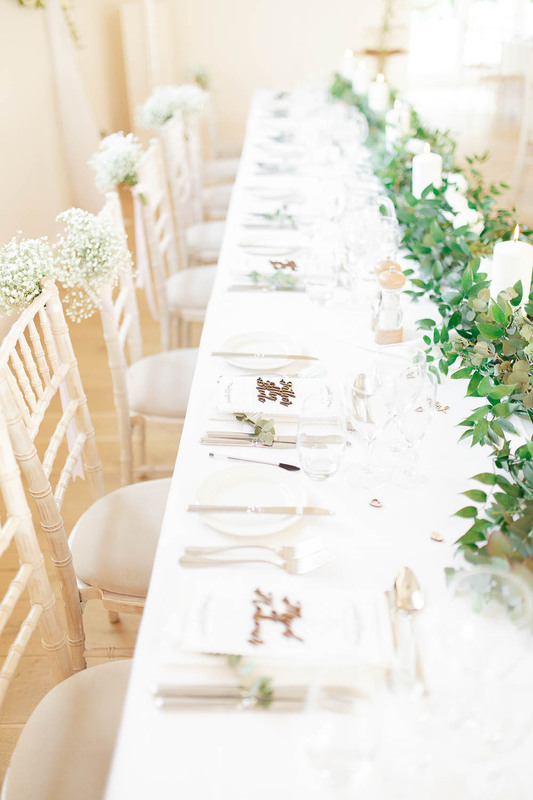 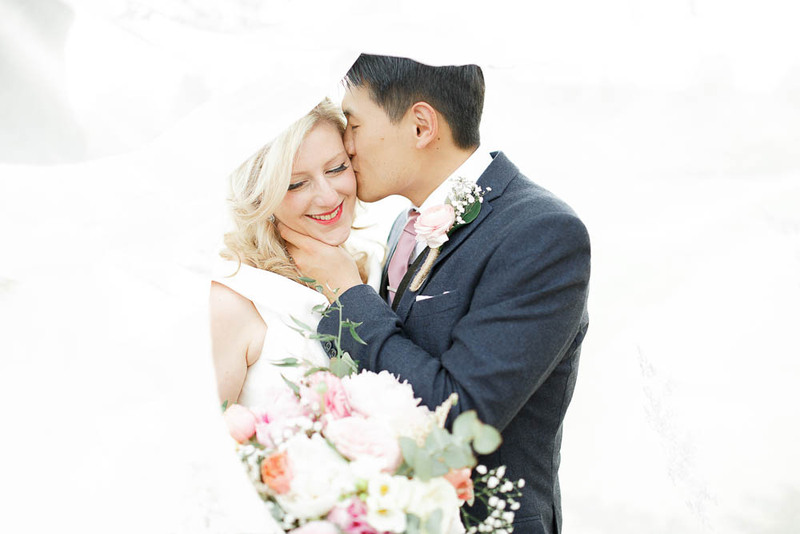 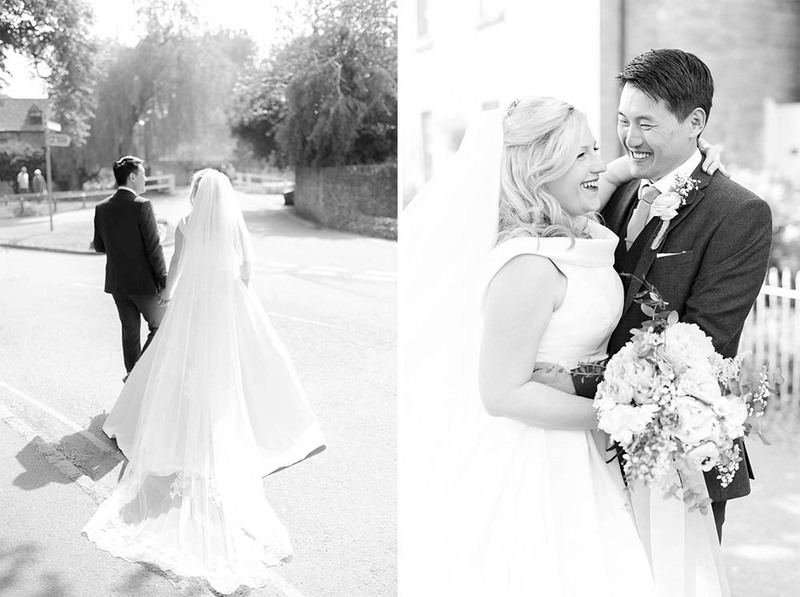 Zoë & Jack’s day was so full of pretty florals and details that we felt very spoilt to be their photographers! 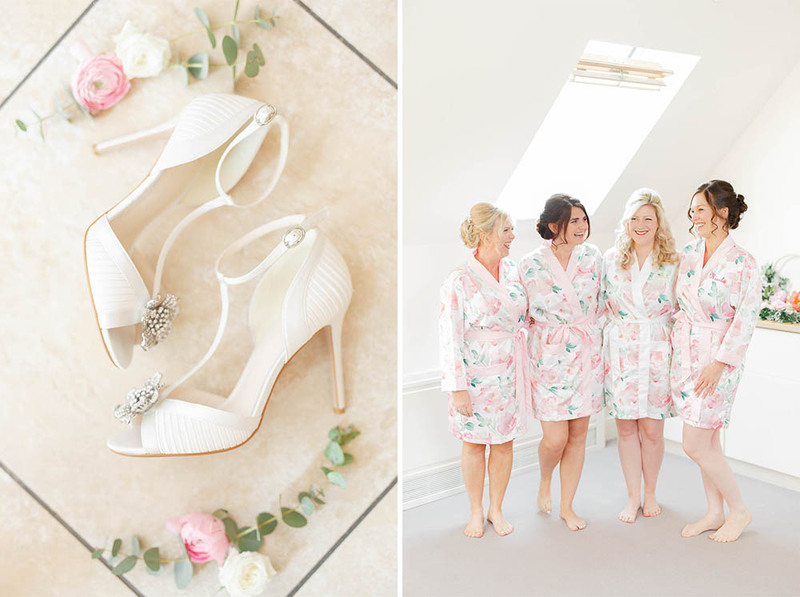 We knew their day was going to be incredibly stylish (Zoë is the blogger behind ‘The Blonde Blog’ and clearly has a keen eye!) 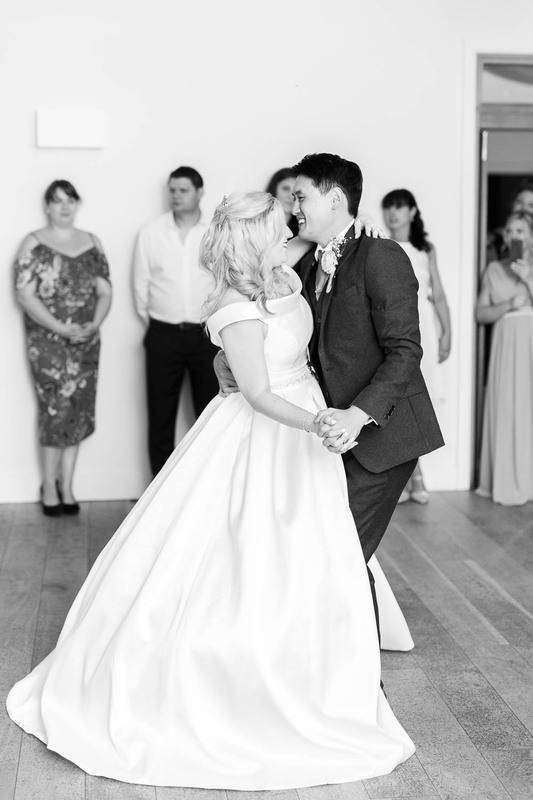 but when we saw their day come together it took our breath away! 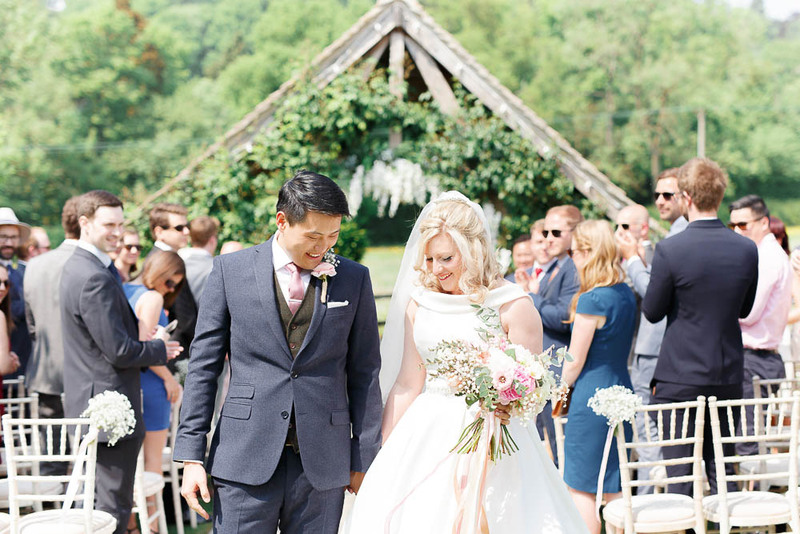 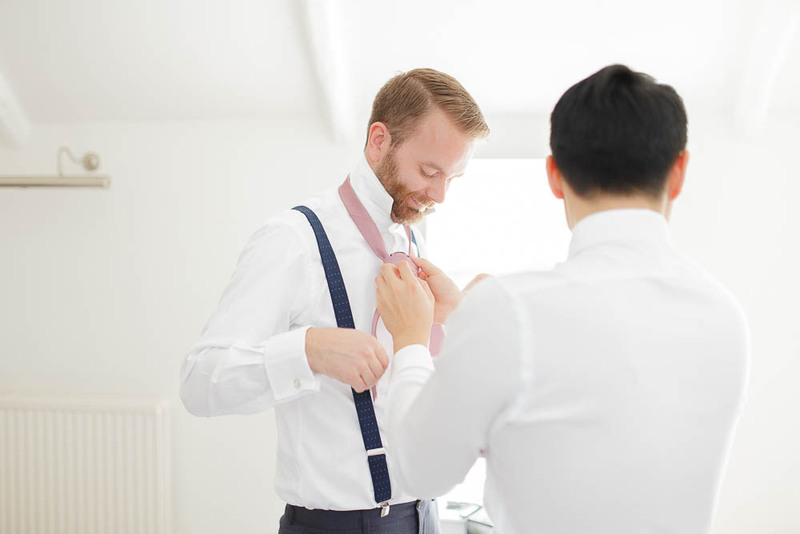 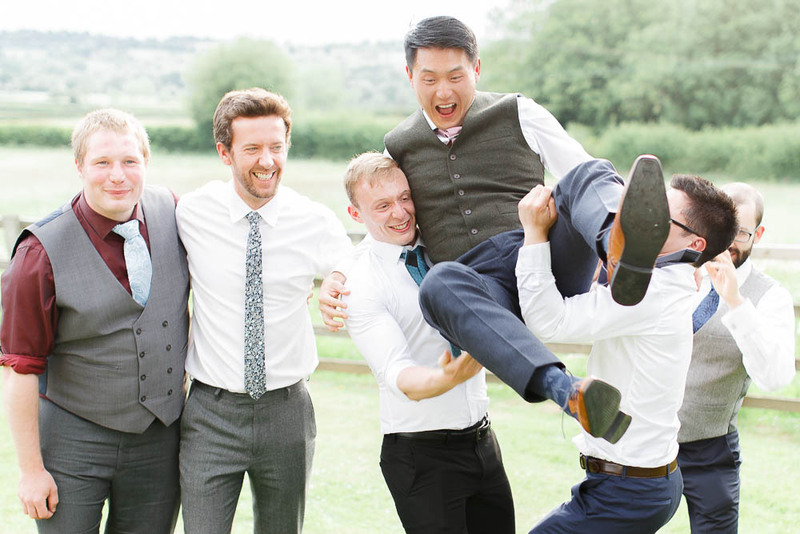 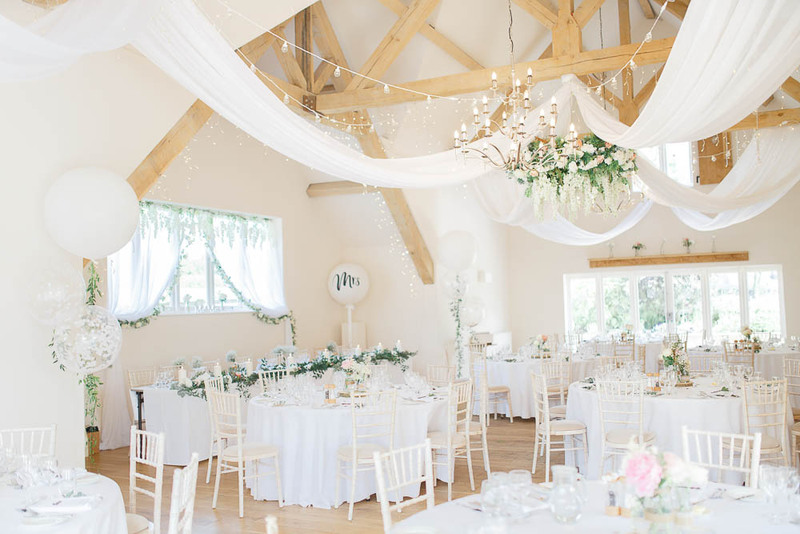 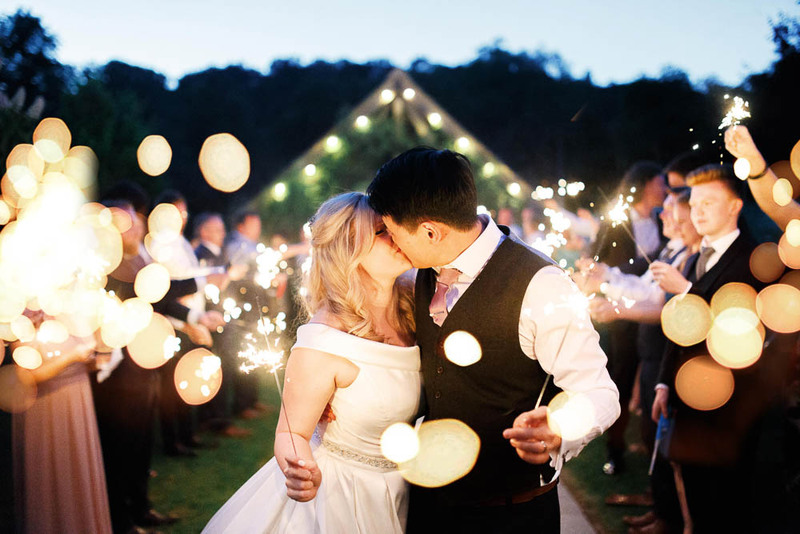 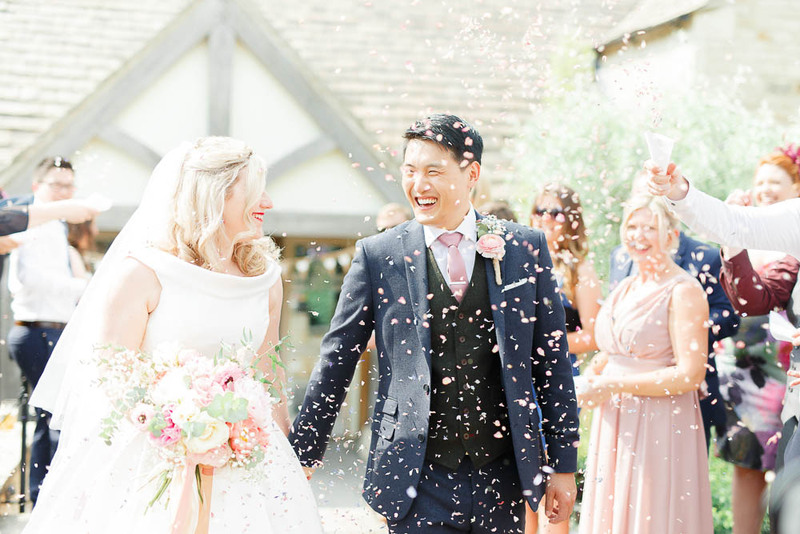 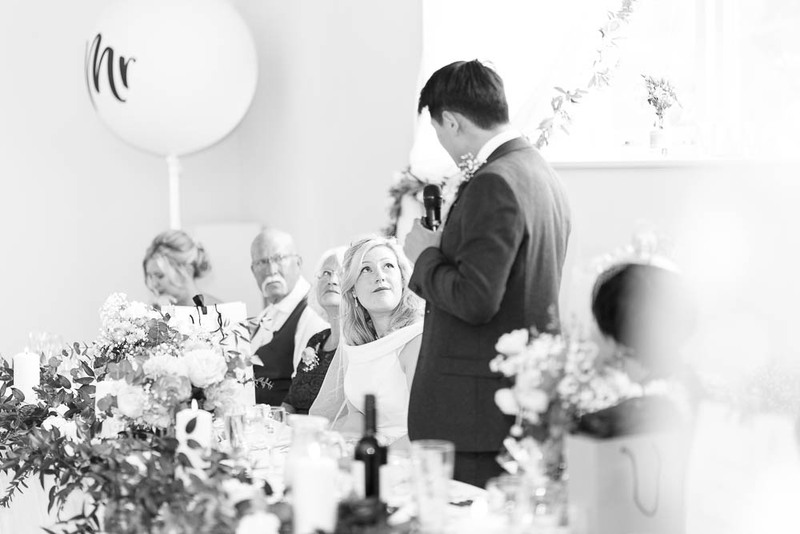 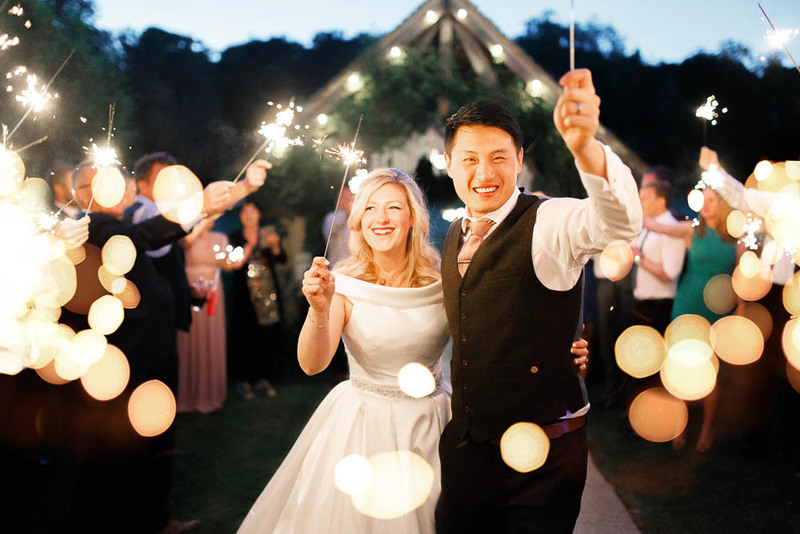 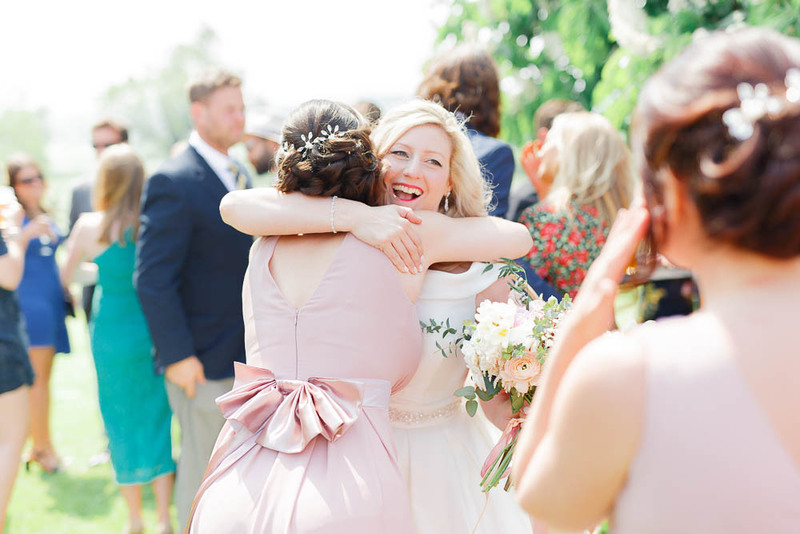 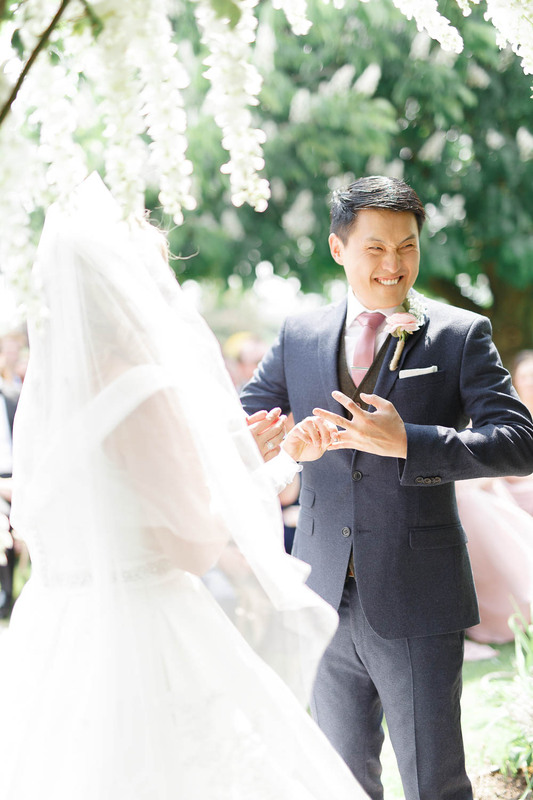 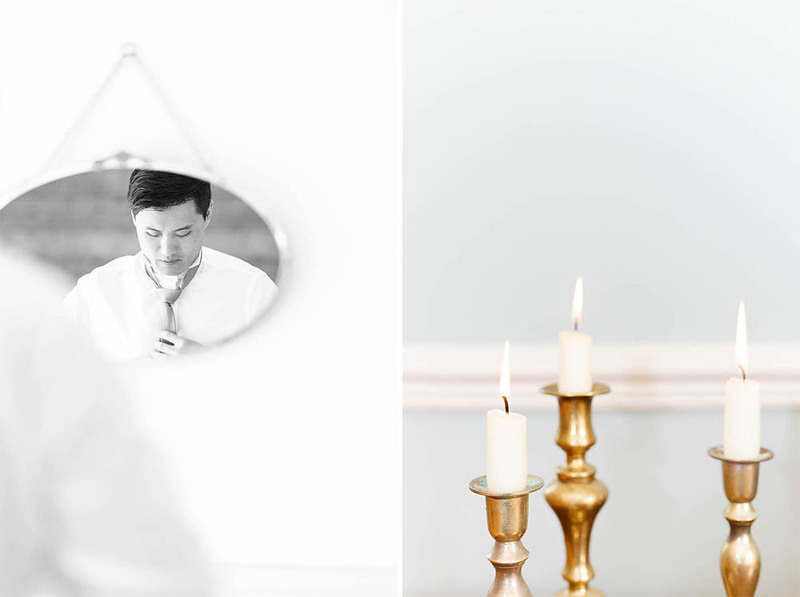 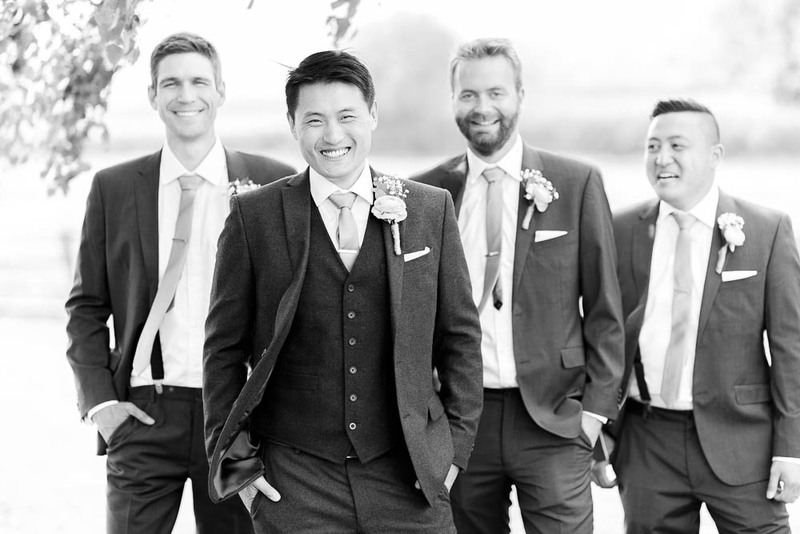 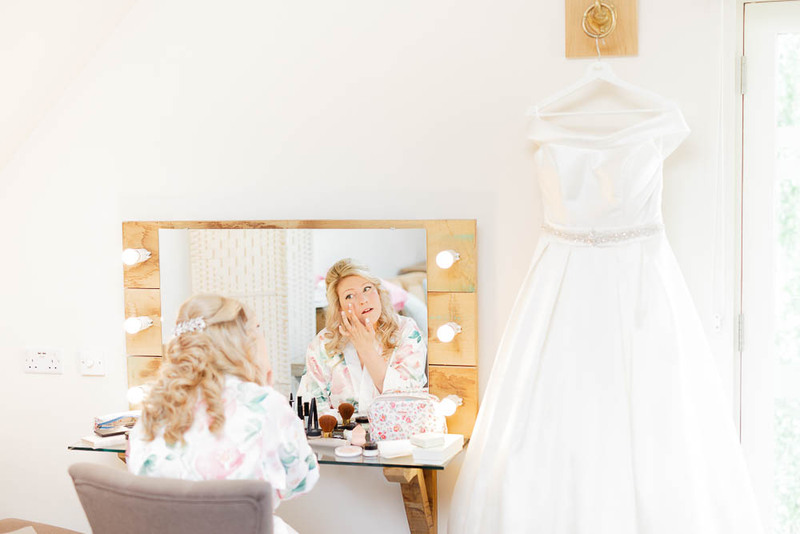 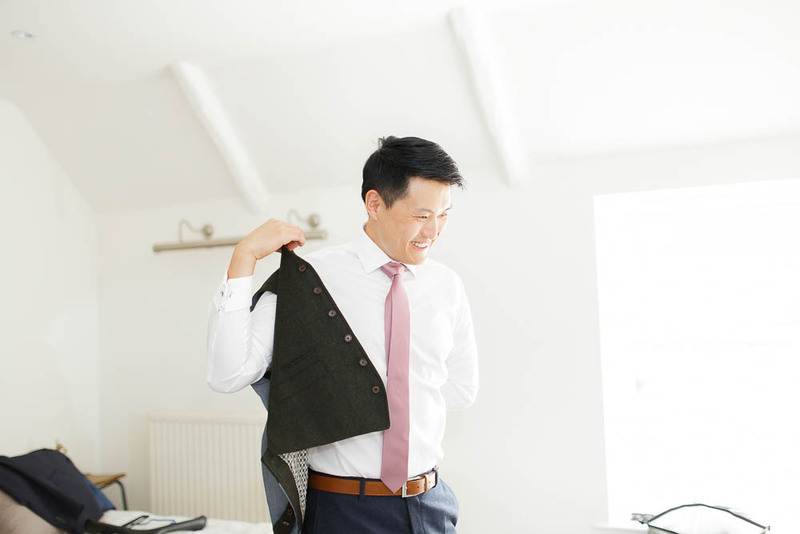 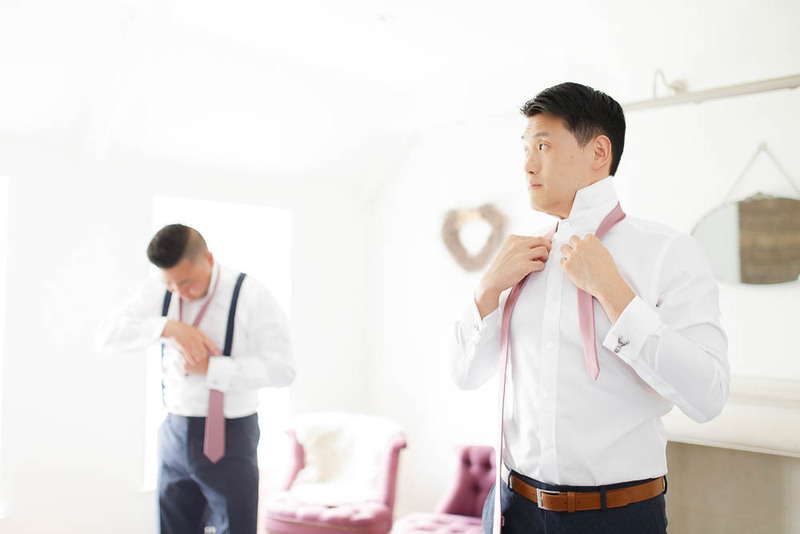 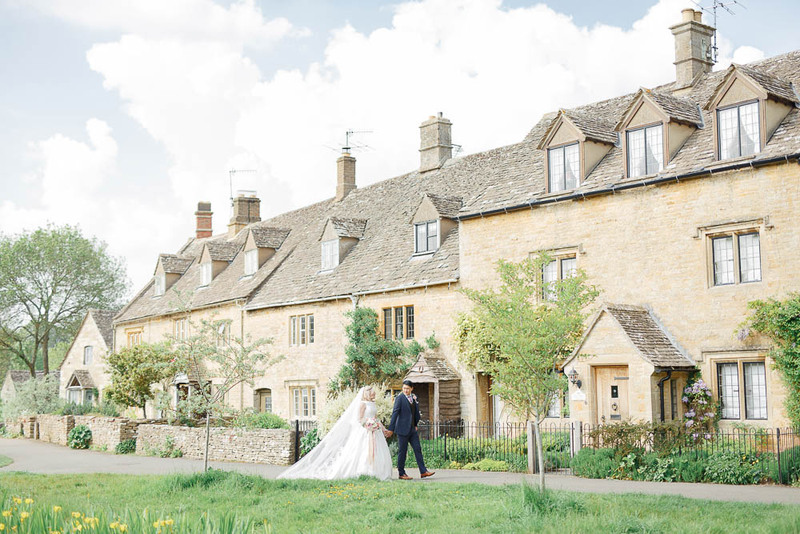 Hyde Barn in Stow on the Wold is such a fabulous light-filled venue, surrounded by rolling Cotswolds countryside and so many traditional, honey-coloured stone villages that we had so many photo opportunities! 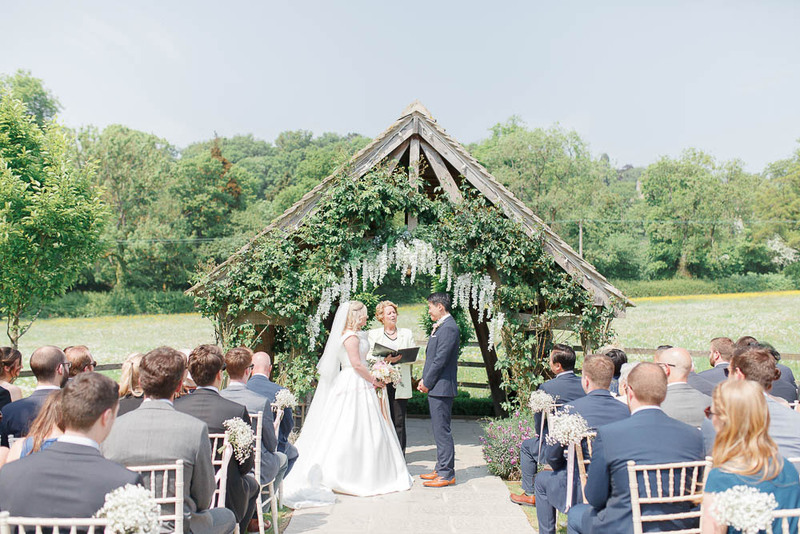 Their colour scheme of dusky pinks, corals, whites and plenty of greenery tied the day together beautifully, particularly in the stunning florals which Zoë the bride did herself! 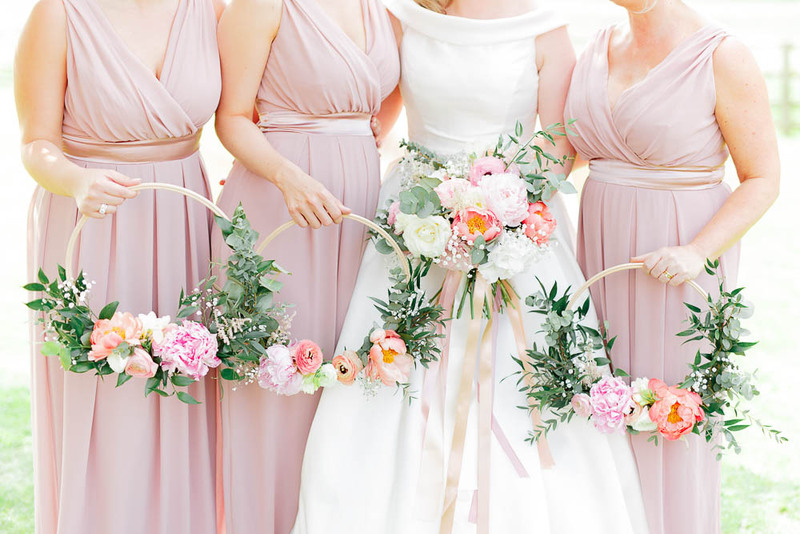 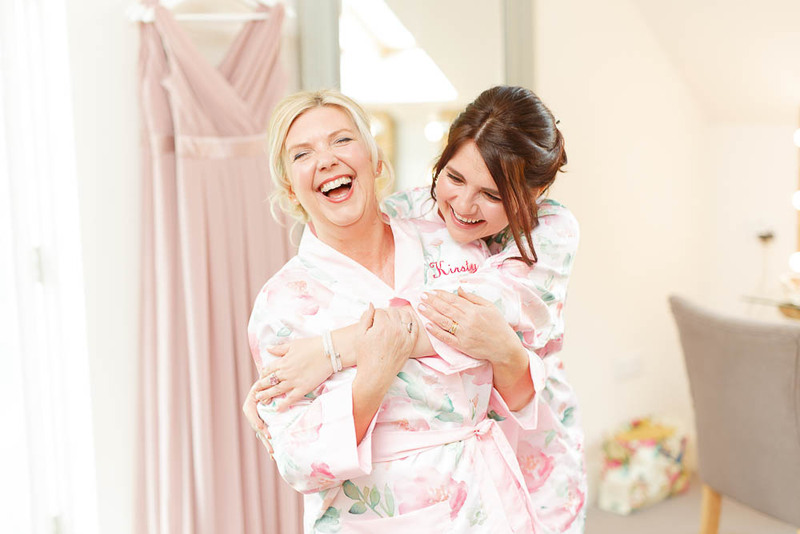 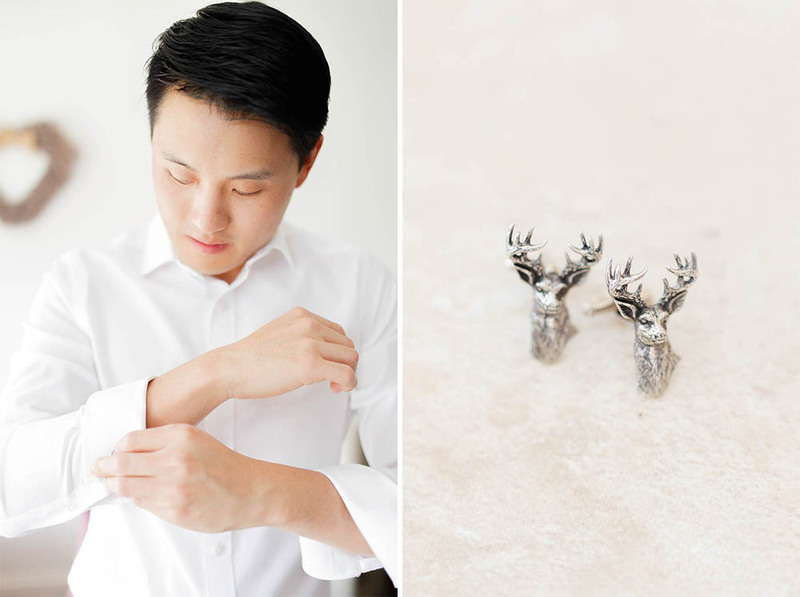 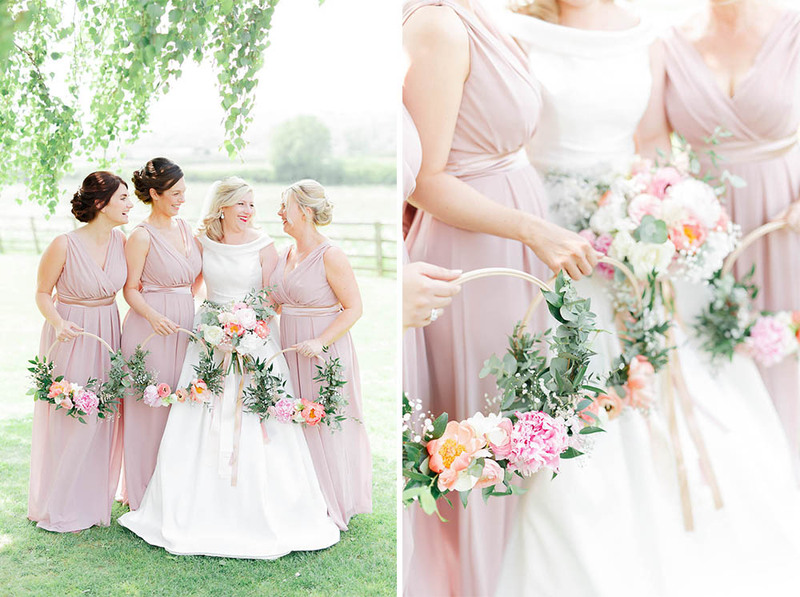 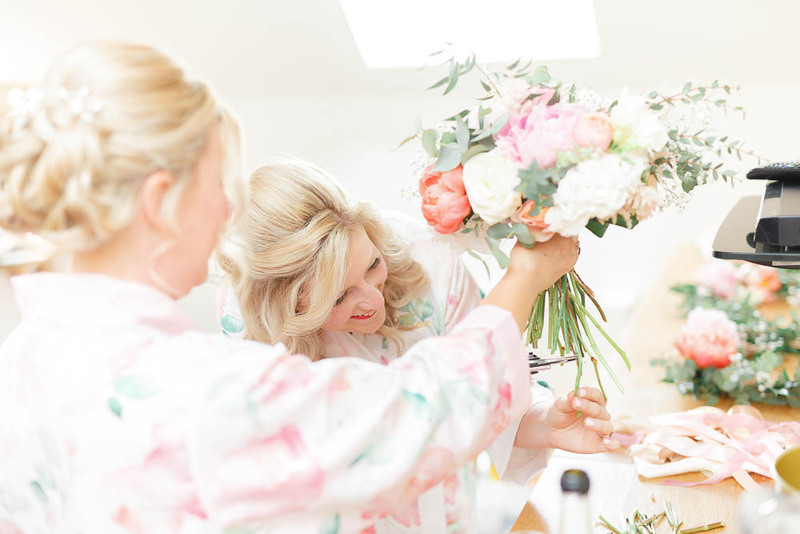 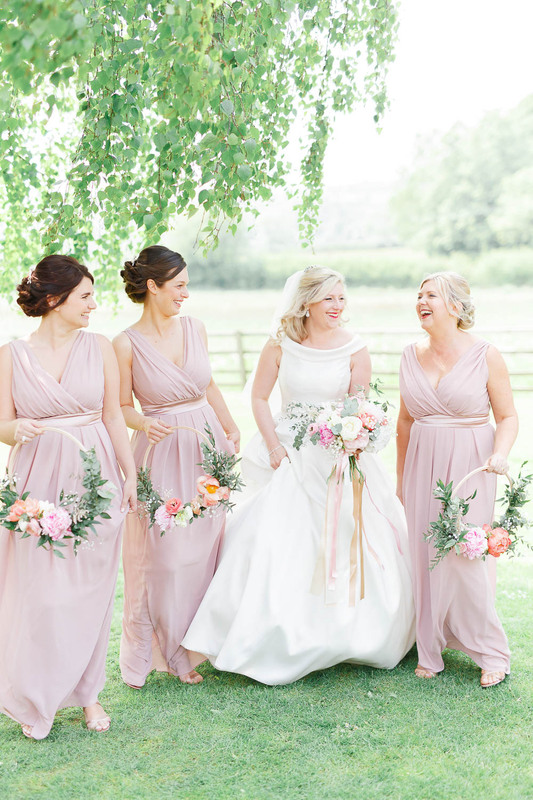 Check out the amazing floral hoops that the bridesmaids carried – so stylish, and so different! 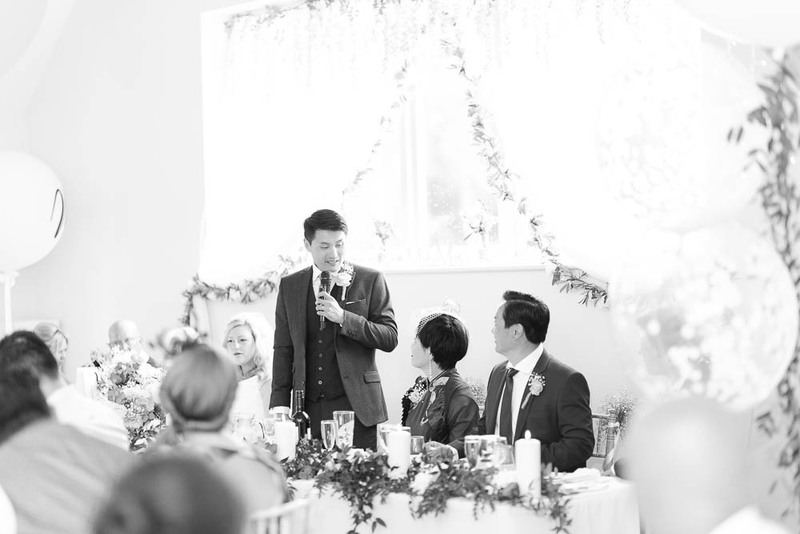 They were certainly a talking point. 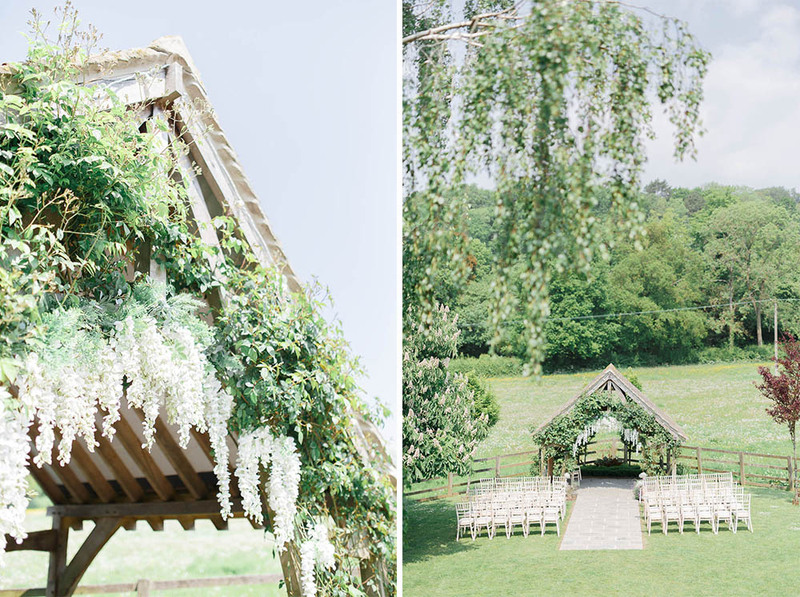 The ceremony itself was held outdoors in the garden, under a white-wisteria-covered wooden arbour. 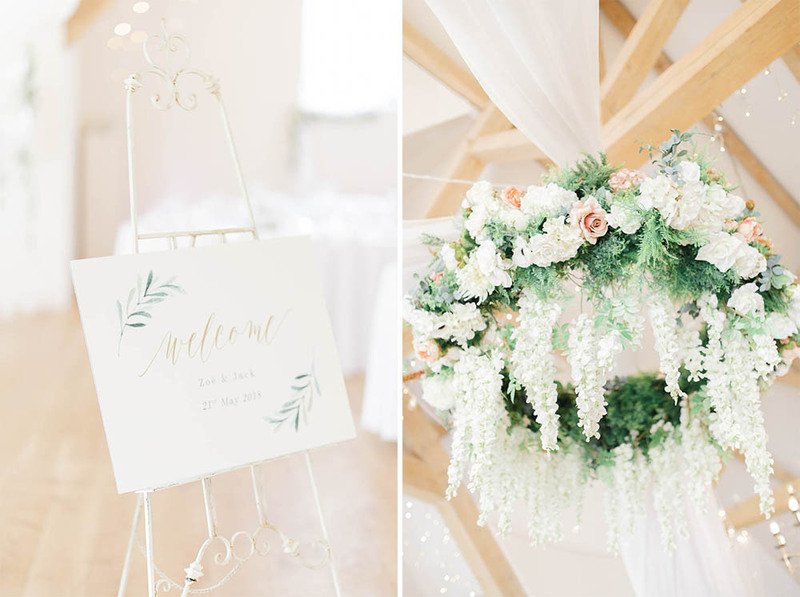 So very pretty! 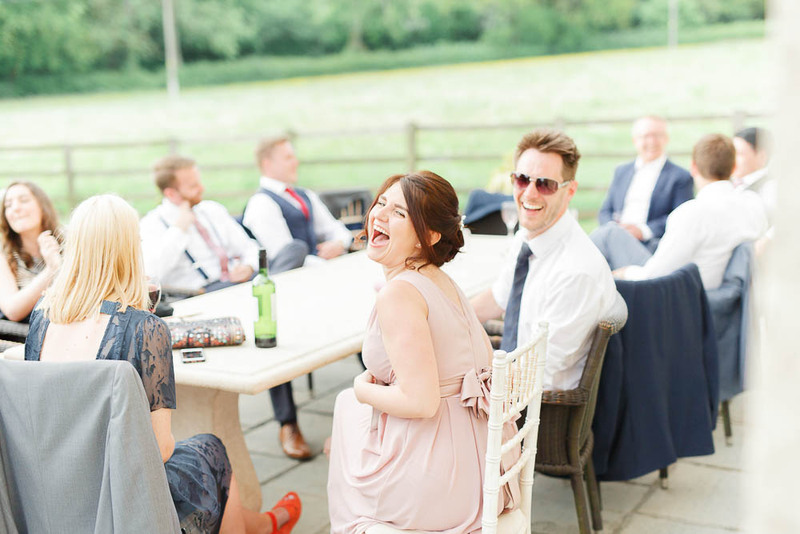 They picked a fabulously sunny day so guests spent a lot of the day outdoors drinking, chatting and generally having a lovely time. 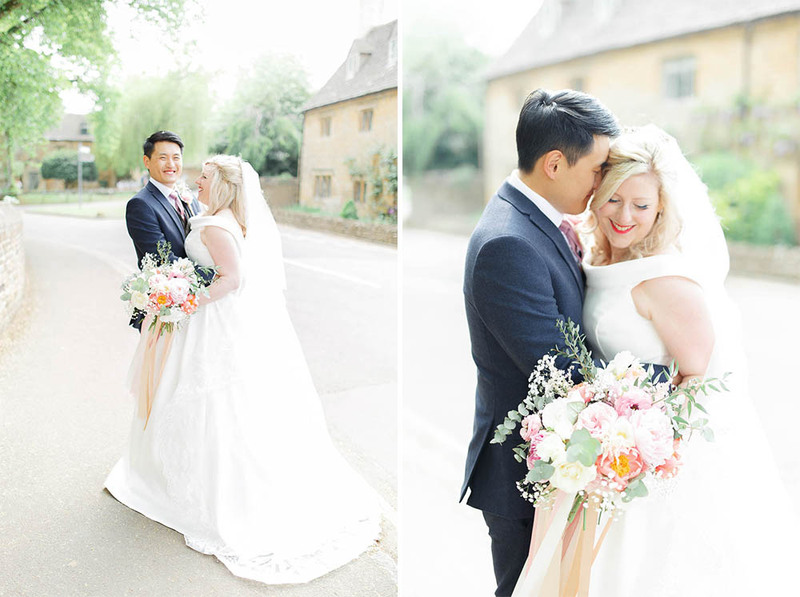 After the ceremony, we headed to Lower Slaughter with Zoë & Jack for some couple portraits against a traditional village backdrop. 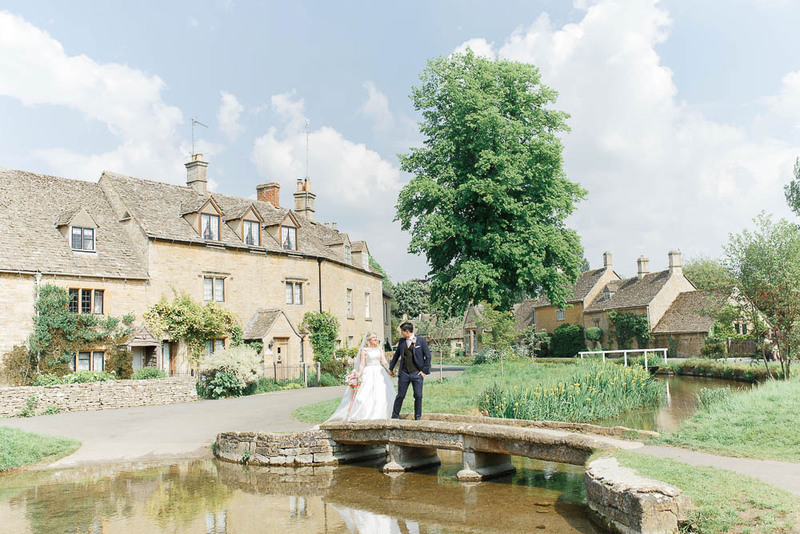 It is by far one of the most picturesque Cotswolds villages we know, and it was so worth popping over there for a breather and some photos! 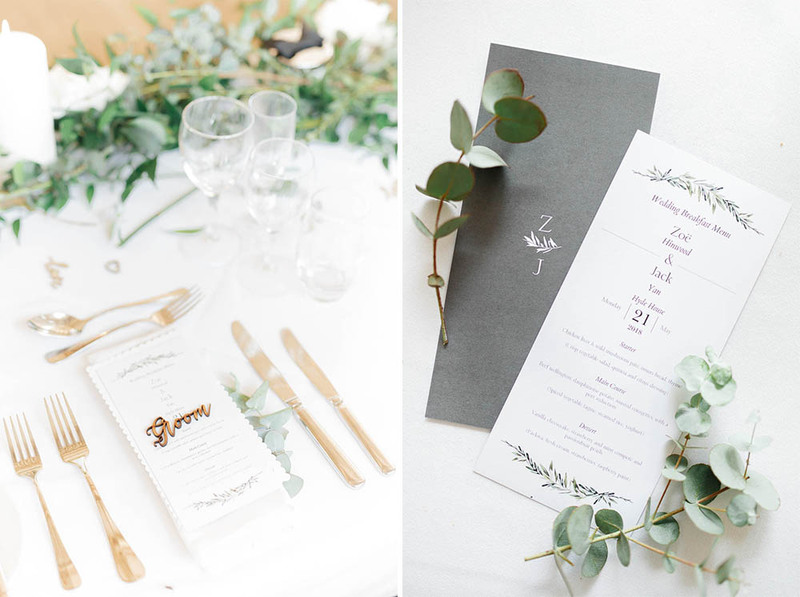 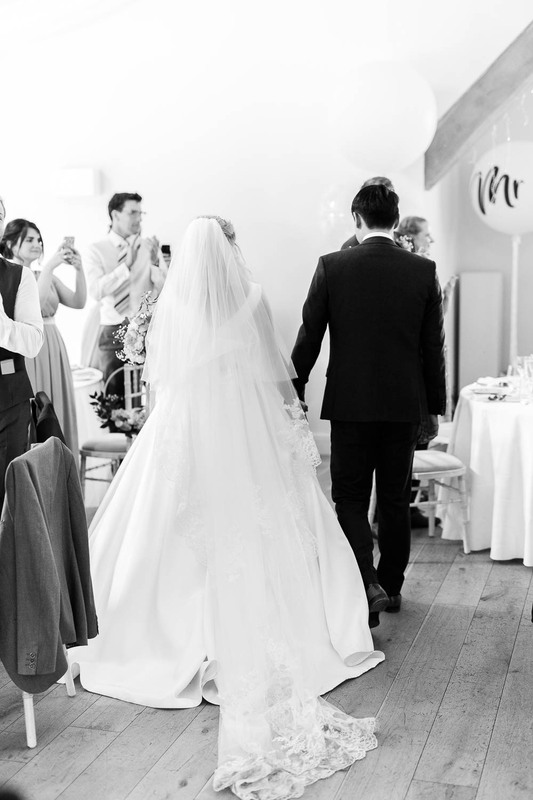 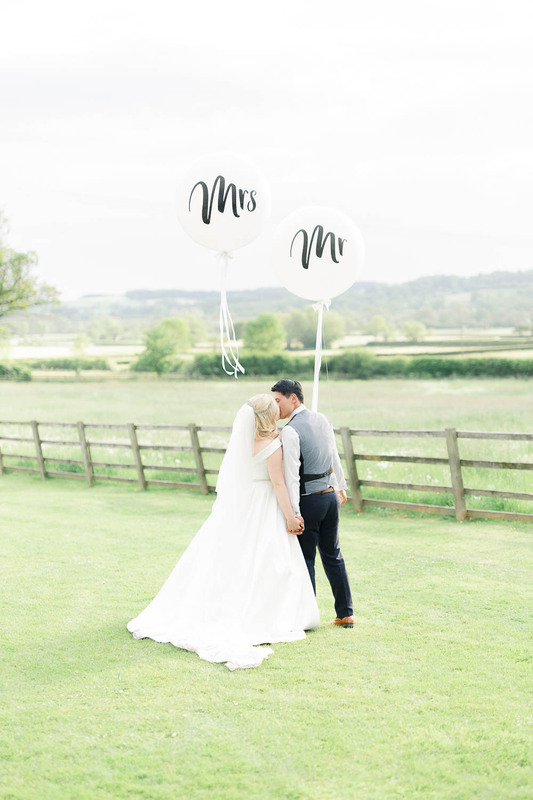 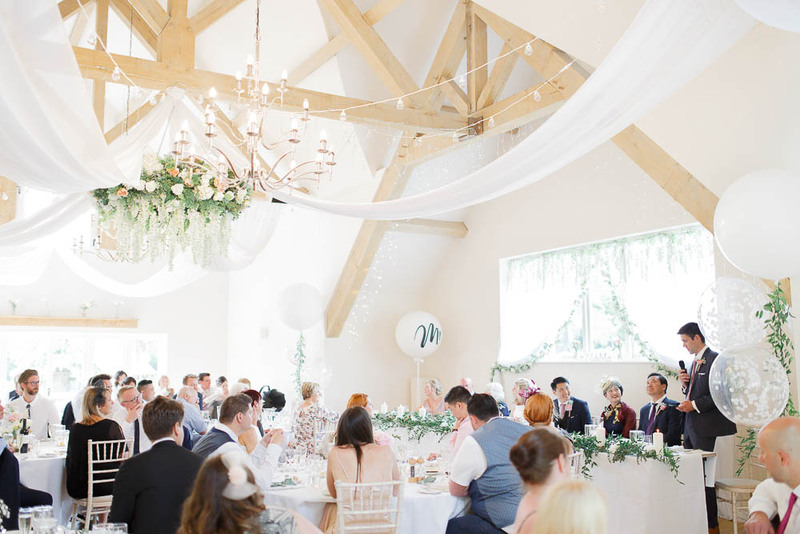 Stylish interior details included elegant white (sometimes foliage-edged) draping, floral chandeliers, laser-cut wooden place names, and giant balloons – some filled with confetti, some with calligraphy ‘Mr & Mrs’ which made for some fun photos! 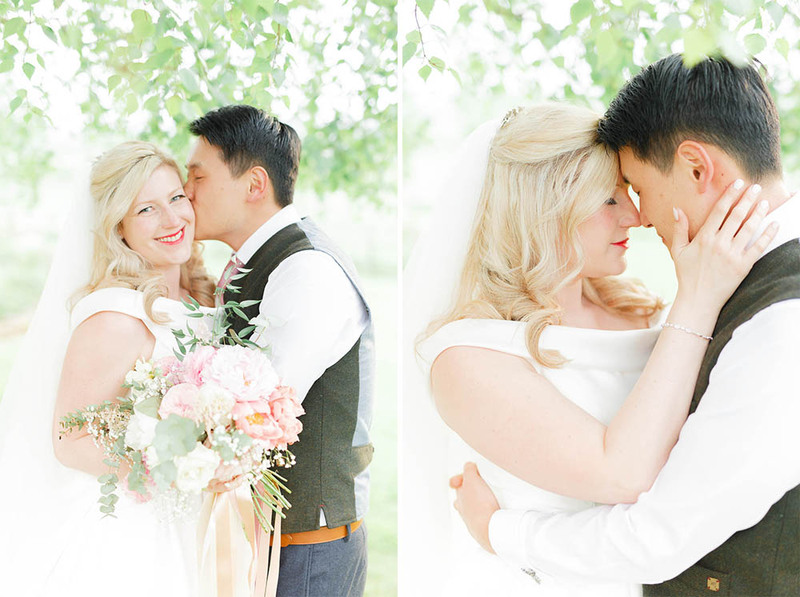 We are beyond happy for this beautiful couple, and are so grateful that they asked us to capture their wedding.